A local house builder will be hosting a special event to bring together the Wrenbury community and celebrate the next chapter of a new part of the Cheshire village. 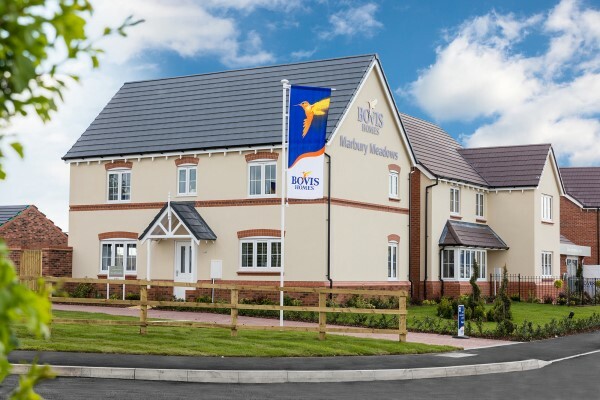 Bovis Homes is inviting guests to visit its Marbury Meadows location on Saturday 7th July to celebrate the launch of a brand-new view home, which will be opened by Bessa Cador, headteacher at Wrenbury Primary School. The Wimbledon-inspired event will include a wide range of refreshments, including Pimm's and strawberries. Visitors will also have the chance to win a fantastic prize in the raffle, with all proceeds going to Wrenbury Primary School, boosting the £500 already donated by Bovis Homes for reading material. The Help to Buy scheme is exclusively available with new-build homes to both first-time buyers and existing home owners. With Help to Buy you need just a 5% deposit and receive an equity loan of up to 20% of the value of the property from the Government, interest-free for the first five years. Another scheme which buyers at Marbury Meadows could take advantage of is Smooth Move, which involves Bovis Homes dealing with the estate agents on the seller's behalf, and even paying the fees when the old house is sold.